Product prices and availability are accurate as of 2019-04-24 20:51:15 EDT and are subject to change. Any price and availability information displayed on http://www.amazon.com/ at the time of purchase will apply to the purchase of this product. 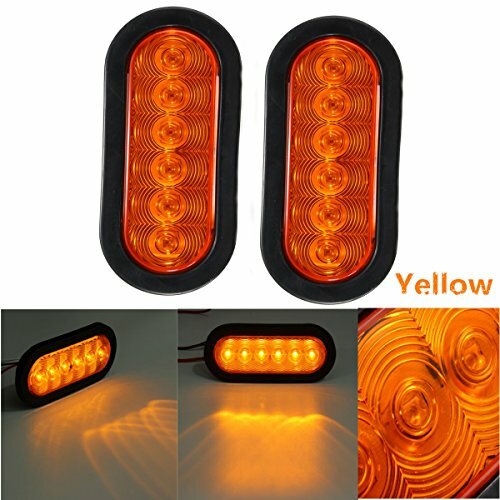 1.This is a multi function LED stop, turn, and tail light for trailer applications. 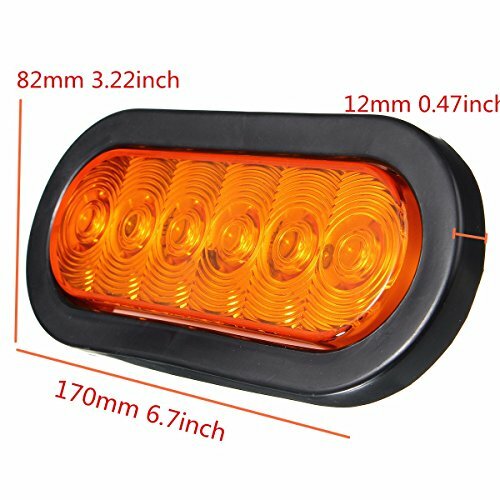 ?LED TYPE: 6" Oval stop light / turn light /tail light is made from super power 6 diodes / each light (12 total), and the outside dimension with the grommet is 6inch. 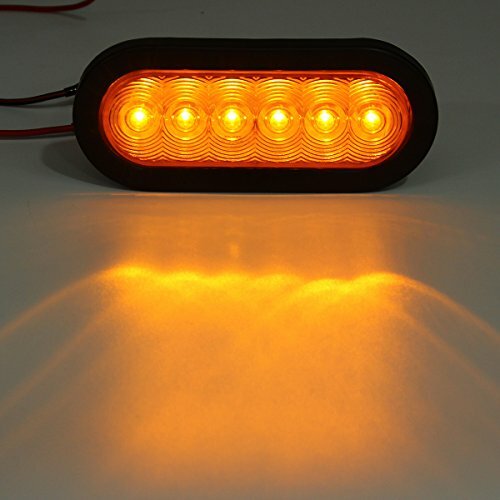 LED Color: Amber. 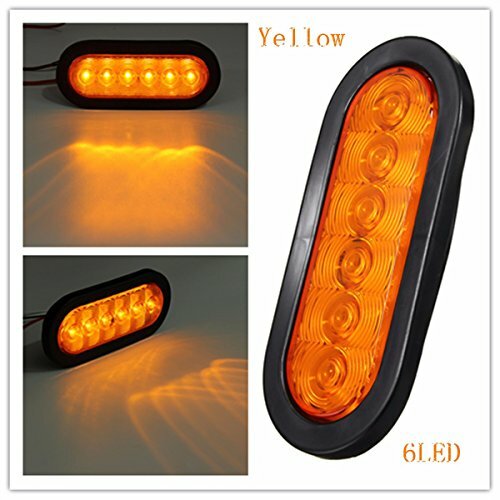 LED Lenc color: Amber. These LEDs draw less current, generate less heat and are brighter and light faster than an incandescent bulb. ?FEATRURE: NEVER change a bulb again. All weather proof, Votle: DC12v. Durable lens, protects against corrosin and fading, all weather resistant molded plastic housing. 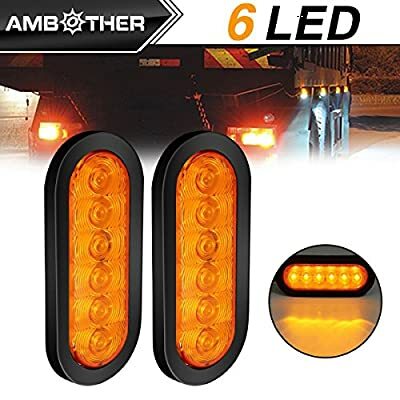 These LED lights are designed to be used in Trucks, trailers, tractors, semi-trailer, Dump, Surface mount design, mounts on any flat surface, ?MATERIAL: Sealed & waterproof assemblies,PC lens + grommet housing welded together to ensure a permanent and water proof seal. ?INSTALLATION: The size:6.7"*3.22*0.47", Direct replacement for 6" sealed beam oval lights, Fit in standard 2-1/2" X 6-3/4" oval hole. ?APPLICATION: Trucks, trailers, tractors, semi-trailer, Dump, bus, special vehicle,etc. 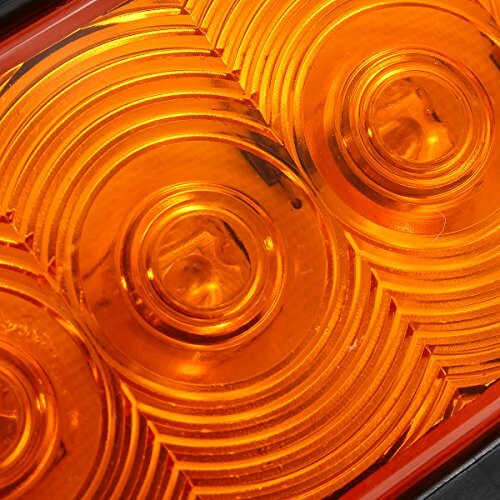 For Heavy Duty trucks like Peterbilt, freightliner, international ,Kenworth, mack,etc.